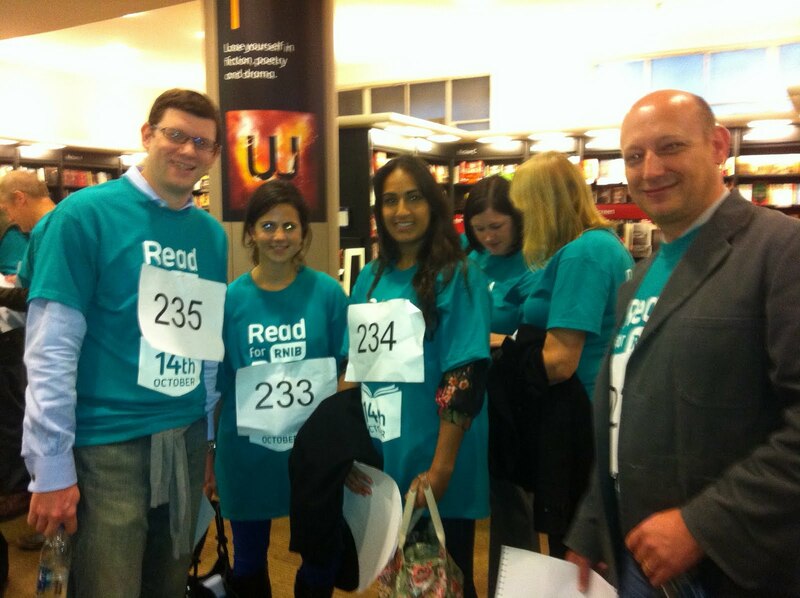 St Luke's Blog: Guinness world record holders! 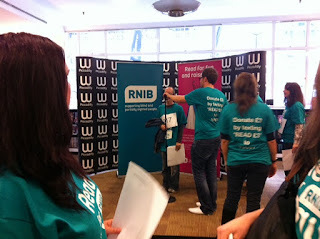 A few St. Lukers went down to Waterstones, Piccadilly today to support RNIB's world record reading relay. We were given one line each to read out, 317 people took part, beating the previous record of 290 held by Austria. 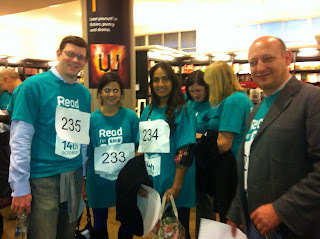 We read an exclusive, never published Anthony Horowitz story, called "The Double Eagle has Landed".